Everything but the…Cauliflower | I Am Not A Restaurant! It's not a guarantee, but it's similar to high school yearbook status in my house. As in, "Vegetables most likely to be eaten..." If they're roasted and flavor dense or presented in a form residents are predisposed to like (i.e. puréed cauliflower and potato), I have a higher degree of success. 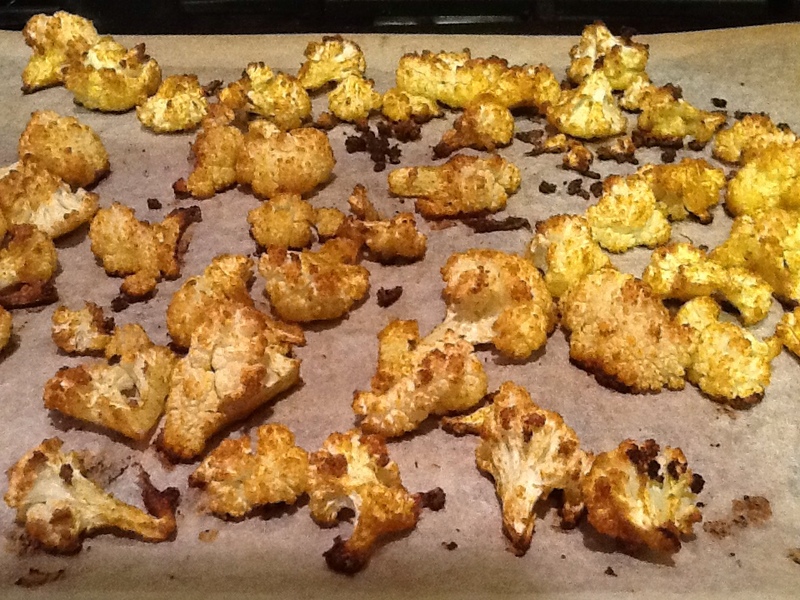 Thus the spiced and super roasted cauliflower is "most likely" or to be accurate, "more likely" to be eaten. I borrowed the high heat roasting technique from veggie guru Molly Katzen when she was in a phase. Preheat oven 425. Line baking sheet with baking paper unless you want a bigger cleanup. Combine spices-taste and adjust. Toss cauliflower with oil, then spices. Roast till golden brown or beyond - at least 15-20 minutes. We like it "burnt". Note: spice combination is completely arbitrary according to personal taste. Oct3October 3, 2013 • By Betsy Karetnick • This entry was posted in cauliflower, Dish of the Day, Gluten-free, Kitchen Help, vegan, Vegetarian and tagged cauliflower, vegan, vegetarian, veggies. Bookmark the permalink. Looks delicious and easy! Thanks so much for posting! We love ours “burnt” too 🙂 I am going to try your spice combo on it next time!